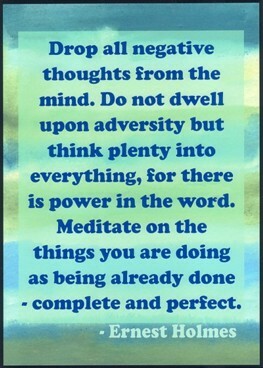 "Drop all negative thoughts from the mind. Do not dwell upon adversity but think plenty into everything, for there is power in the world. Meditate on the things you are doing as being already done - complete and perfect."